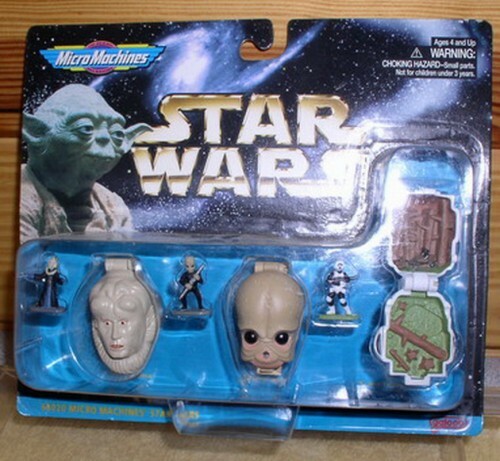 Micro Machines - - Star Wars Collection I with Bib Fortuna, Figurine D' An, and Scout Trooper. This toy is Dated 1996 Lewis Galoob Toys. This is mint on the card as I show it, never played with. The card may not be perfect for it is very old.